My great-grandmother, Adrianna Smouter, was born on February 19, 1862 to Jan Andeweg and Lijntje van der Speg (also known as Spek) in Oost- en West-Barendrecht (now known as just Barendrecht), Zuid-Holland, Netherlands. According to her marriage record from the Dutch archive in The Hague, her birth name was actually Adriaantje (and is also noted as an alias name on her death certificate). 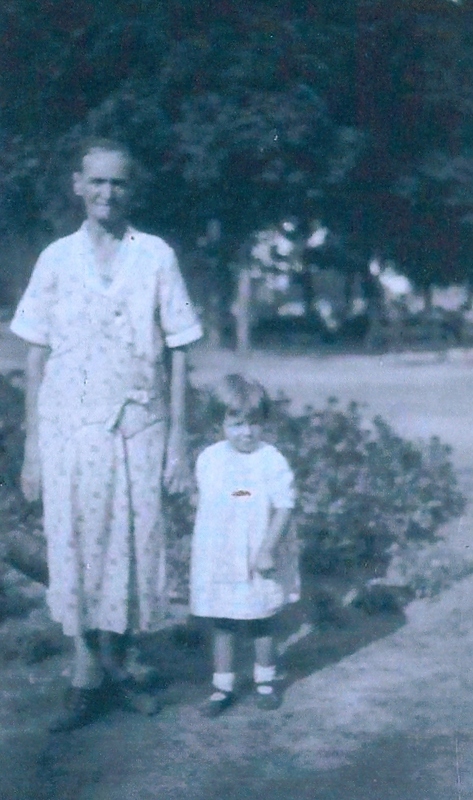 After immigrating to the United States, she would formally adopt the name “Adrianna”, but was better known informally as “Jennie” among family and friends (a name she would give to her first child born in the United States – my grandmother, Jennie Smouter Reyst). Adrianna was one of 6 known children (3 girls and 3 boys), and possibly 3 other siblings (1 girl and 2 boys) that I noted in other family trees but have been unable to verify against any existing birth, marriage or death records. All of the siblings, with the exception of her brother, Willem, and her mother emigrated to the United States from 1884 to 1892. So Adrianna was not without an extended family her in the USA, and particularly the Detroit, Michigan area. Before emigrating to the United States she married my great-grandfather, Arie Smouter, at the age of 23 on October 22, 1885 in Barendrecht. Arie and Adrianna had three children, all daughters, while living in the Netherlands, but one child (Lijntje Jannetje) died at just 5 months old. After arriving in the United States Adrianna and Arie would have 7 more children according to the 1900 and 1910 US Censuses, but only 3 (2 girls and 1 boy) would survive beyond infancy. So far I have not been able to verify the other births, but for at least three I have probable names that may eventually help in that search (2 boys and 1 girl). From the various US Census reports from 1900 to 1930, Adrianna is listed as a homemaker. I don’t know if she ever did any part-time or seasonal work, but it highly unlikely. But in one census report, a boarder is listed in their household, a church member. So they may have had occasional boarders throughout the years after their children had grown. For the first ten years after arriving in the United States, Adrianna spoke no English according to the 1900 US Census. However, as her children grew and attended public schools where they learned to speak, read and write English, I am sure Adrianna’s English skills also improved as future US Census reports indicate she at least spoke English. Adrianna would pass away in her home on Elmwood Street in Detroit on January 10, 1934, just one month shy of her 72nd birthday. The cause of death is listed as diabetes, a health issue that would not only take her life but also plague at least 3 of her 5 children in their adulthood. She is buried at Forest Lawn Cemetery in Detroit (located on Van Dyke Avenue just south of Six Mile Road). Update: I recently discovered that Adrianna’s mother, Lijntje van der Speg Andeweg, also immigrated to the United States, entering on March 17, 1892 with her second husband, Arie Kool and her stepson, Pieter Kool. Sources: Nationaal Archief – Rijksarchief Zuid-Holland Civil Registers of Births, Marriages, and Deaths; US Census records from 1900, 1910, 1920 and 1930, State of Michigan Certificate of Death.